A story in yesterday's Chicago Tribune mentioned casually that the Bulls, as a way of making up for the scoring lost by not re-signing leading scorer Ben Gordon, are planning on "stressing defense" instead. Meaning, if we can't score, at least we'll stop the other team from scoring. The problem with this strategy is that while it seems intuitively correct, it doesn't really work this way in the NBA. In the NBA, your team can be good at defense as a whole, but usually only if it comprises really good individual defense players. The Bulls are young, so there's a chance they can improve from last year, but for the most part they are who they are defensively. They won't get a whole lot better, and they won't get a whole lot worse. Offensively, though, there is room to grow. The Bulls have the perfect team to experiment with a fast break style. They have one of the best point guards in the league for it. 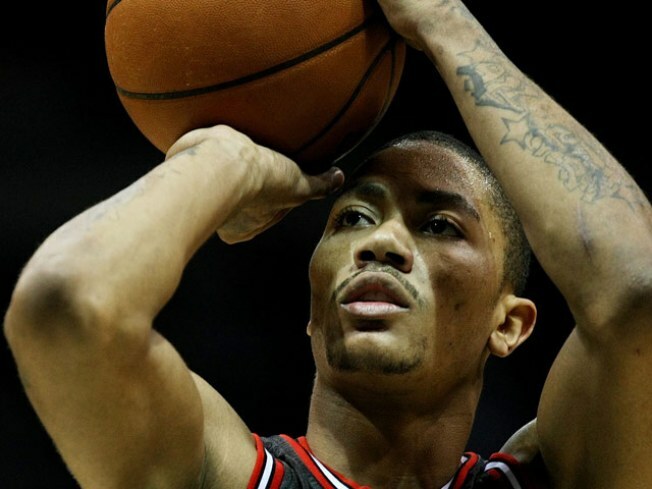 And by pushing the pace and letting Derrick Rose control much of the flow of the game, they can bring other teams out of their comfort zone and force them to play at a frenetic pace. This doesn't work if you merely "stress defense," if you think your team is going to get better in the half court overnight. It doesn't really work this way. Talent is talent. And thinking you can make NBA players a wildly different defensive unit -- as if they were a seventh grade rec league team -- is foolish. It's a waste of time. There are better ways. In the end, it probably doesn't matter anyway. The Bulls are probably a mediocre team in 2009-10. This is a holding year. This summer's free agent bonanza will determine the franchise's future. But for now, if the Bulls really want to focus on a particular coaching area, let's see a new offense. Let 'em run, Vinny. What have you got to lose?